Manchester United are reportedly on the brink of agreeing a new long-term contract with Marcus Rashford, which would end any interest from his suitors. The England international currently has 15 months remaining on his existing deal with the Red Devils but the club have an option to extend his stay by a further year. According to The Mirror, the hierarchy are in advanced negotiations over a new contract with the marksman and they are confident of finalising the same in the near future. 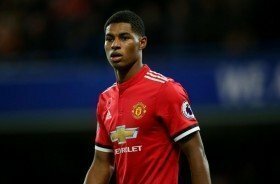 Rashford is presently on a £75,000-a-week contract with the Red Devils, and reports indicate that the board are prepared to quadruple his current salary to convince him to stay put with the club. The 21-year-old is currently enjoying his best-ever season with the Red Devils and he has already contributed a combined 20 goals and assists for the club across all competitions. He has recently been out of action with an ankle problem, but is expected to feature for the side when they host Barcelona in the first leg of the Champions League quarter-final tonight.